I knew this one would sell for a high price but had no idea that anyone would pay such a large amount of money for this Gun. While the gun sold for $130,000 there was a 17% buyers premium which brought the actual cost of the firearm to over $150,000. Prince Law Offices, P.C. will be hosting a machine gun shoot at Eastern Lancaster County Rod and Gun Club, which is located at 966 Smyrna Road, Kinzers, PA 17535 on October 22, 2011 starting at 11am. Everyone is welcome to attend. The only requirement is that you bring a driver’s license and hearing and eye protection. All attendees will be required to sign a waiver. There will be several dealers and manufacturers in attendance and which will have some unique firearms that you might not otherwise have an opportunity to shoot. One dealer will be bringing his KRISS .45 SMG, a Glock 18c, and some other fun toys. While you are welcome to bring your own firearms and ammunition, it will be up to the owner of the firearm as to whether he/she will permit you to use your ammunition in his/her firearm. The FFLs will be bringing ammunition for purchase, if you need additional or if they require certain types of ammunition to be used in their weapon systems. One of the Gun Trust Lawyers® we work with in California has written an article on owning a Machine Gun in California which deals with the requirements and process that is involved. Not only is there a special application for the California Permit but one needs to establish good cause that they have a clear and convincing reason and there is a bona fide market or public necessity for the issuance of the permit. Kevin goes through the 8 valid reasons defined in 11 CCR 4128(b). All of the reasons that would apply to an individual require that you have a valid FFL except for (4) collectors of destructive devices. Unless you are a police department, branch of the government, in the entertainment industry you will need to come up with a clear and convincing commercial need for the machine gun permit. This years annual machine gun shoot was May 29-30 at Riverside Park Campground and Range in Anderson AK. 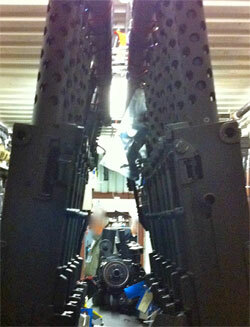 The Alaska machine Gun Association’s website gives information on their machine gun shoots. If you have checked on an Alaska NFA Gun Trust in the past and were unhappy about the price, we have some good news. We have a new attorney that we are working with ( not new to the practice of law, but new to our network) and he is offering some very competitive prices on the NFA trust ( as much as 1/2 off the previous lawyers pricing). If you are interested in an Alaska Gun Trust Contact Us to find out more and begin the process. For those of you who couldn’t make it. Knob Creek is a machine gun shoot that should not be missed. Here is one of the video’s I took with my camera. 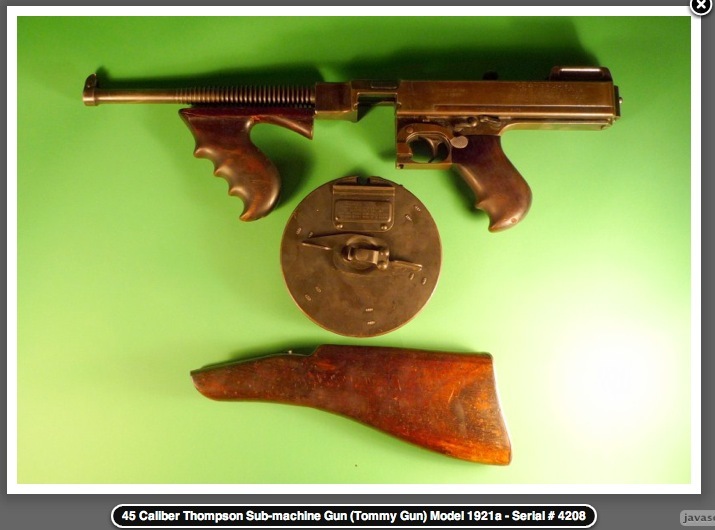 I have a client who is looking to purchase a Thompson Machine Gun in Florida. If you are not in Florida, there is a local transfer agent willing to help out. If you have one for sale or know of one at a good price please let us know.